July 8 marked the centennial of the founding of the Sieur de Monts National Monument in Maine, which within a few years became the new National Park Service’s first Eastern property. 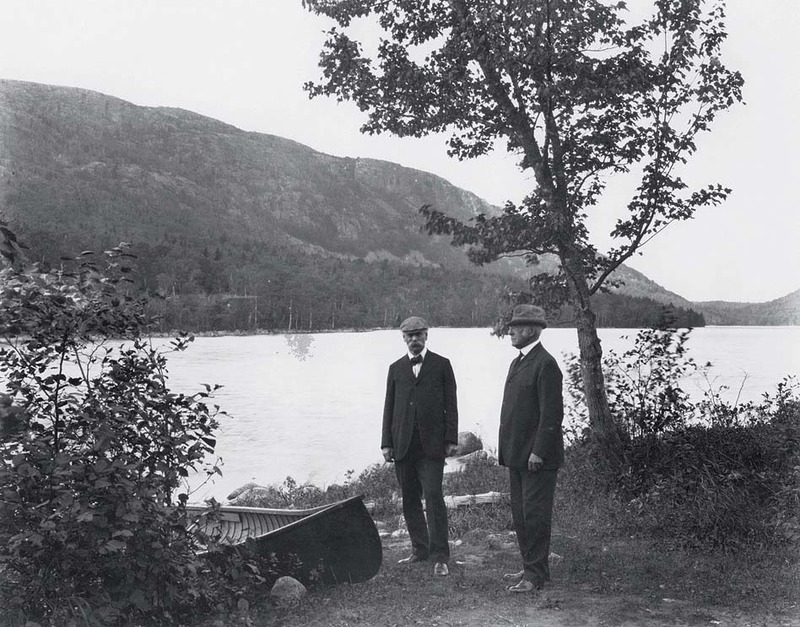 The creation of what is known today as Acadia National Park was spearheaded by a wealthy Bostonian, George Bucknam Dorr, A.B. 1874, who also served as its first superintendent. Dorr’s Brahmin family lived in bucolic Jamaica Plain until he was seven, and he wrote later, “My earliest recollections are concerned with gardens….” Of his grandfather’s home in rural Canton, he recalled: “There, in real country, with woods and a lake for neighbors, dogs and horses for companions, my brother and I grew up, springs and falls, till college days.” His mother read him works by the Lake Poets, and “Wordsworth, Coleridge and Southey, Carlyle and Ruskin came to be part of me, grew into my being.” In 1868, the family bought property on Mount Desert Island in Maine, where Harvard president Charles William Eliot was a summer neighbor. The lifelong impact of Dorr’s youthful stuttering is harder to gauge. Thanks most likely to a supportive family and the insights of an understanding doctor, Edward Warren, A.M. 1826, M.D. 1829 (himself a stutterer), the condition proved no bar to his becoming a sociable and publicly engaged man. Warren’s assertion that a stutterer searching for a career should choose “that pursuit in which his defect shall afford the smallest obstacle to his progress” may have supported Dorr in forging a new kind of profession suited to his passions and abilities—including the very qualities of persistence and tenacity required to manage his stutter. Dorr’s philosophy connections also led him to serve on (and sometimes chair) the department’s visiting committee for two decades. He led fundraising for a new building, Emerson Hall, to house the department and helped Harvard acquire properties between the Yard and the Charles River. 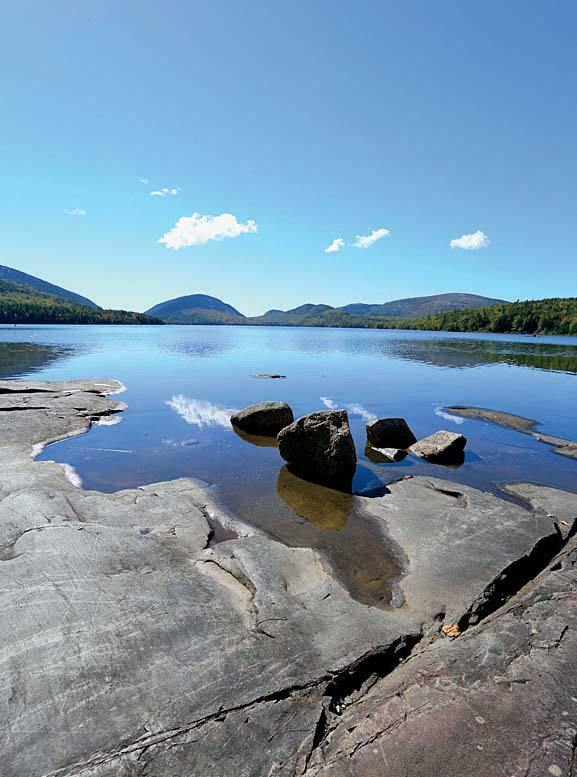 These tasks honed skills of planning, negotiation, and administration on which he drew when he turned to conserving open space on Mount Desert Island. In the 1890s, living at his family’s home on the island, Dorr developed a real interest and expertise in landscape gardening, founding the Mt. Desert Nurseries, working on other landscaping and conservation projects there (sometimes alongside future landscape architect Beatrix Farrand), and, further afield, advising friends such as the novelist Edith Wharton on her estate in the Berkshires. In 1891, President Eliot’s son Charles, a landscape architect, and others founded The Trustees of Reservations in Massachusetts “for the purpose of acquiring, holding, arranging, maintaining and opening to the public, under suitable regulations, beautiful and historical places and tracts of land” within the Commonwealth. 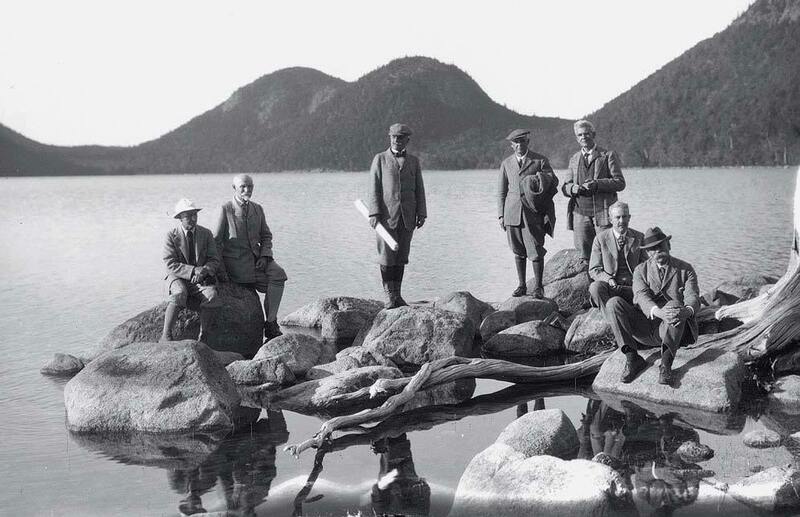 By the early 1900s, increasing threats to the scenery of Mount Desert Island led to that model of private ownership of conservation land being transferred to Maine: the Hancock County Trustees of Public Reservations was created, with Charles William Eliot as president and Dorr as vice president and executive officer. After initial land acquisitions and conservation measures, it became clear that negotiating the varied interests involved would require not a private organization but rather public ownership and management, achieved with the transfer of the assembled properties to federal authority as a national monument in 1916. Steven Pavlos Holmes, M.T.S. ’87, Ph.D. ’96, is Scholar-in-Residence at the Boston Nature Center in Mattapan, Massachusetts. 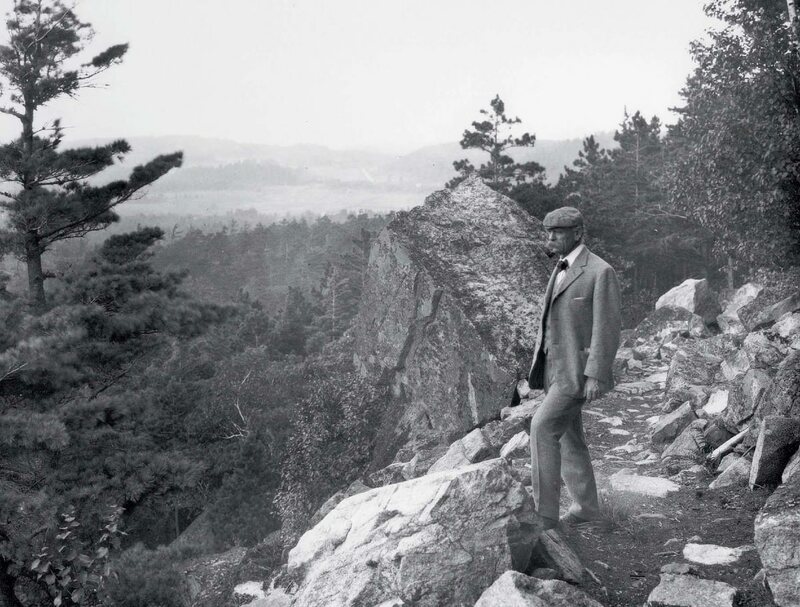 He is indebted to Ronald Epp for his groundbreaking Creating Acadia National Park: The Biography of George Bucknam Dorr (Friends of Acadia, 2016).